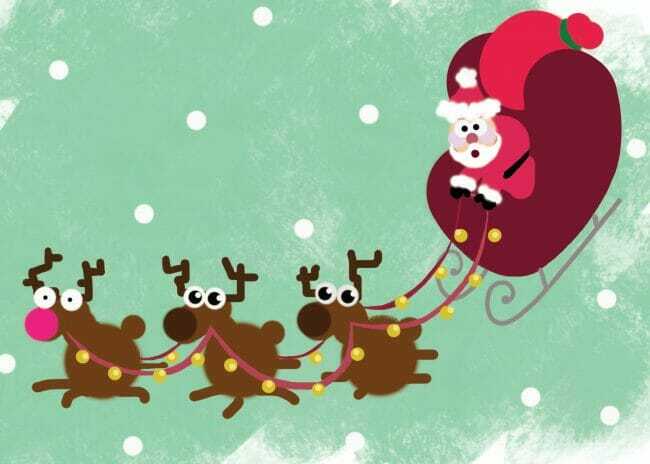 Narrow escape: we prepared a card to send to friends, of whom the wife is very ill. Just in time we noticed that it was a charity card, raising money for a hospice. Kudos to her! Nice job on the card! Maybe there should be a government imposed price cap on trees? Then we can guarantee that the public is "protected" and that there will be a perpetual shortage! Often when you cut your own tree in the wild you can get not only some bare spots but some long, creeper branches too. If you have the space these can look cool decorated as well with 5ft boughs in the middle of the tree reaching out with lights and ornaments. Not everyone's ideal but I think it looks cool and more natural. Nice card! The tree thing amused me. We threw out our old artificial tree after last Christmas, on the idea we'd get a new one for this year. As the season approached, the wife enthused that I could get a real tree if I wanted this year. She hates those and I'd never had anything else, prior. Then, since I didn't RUSH to buy one by around Thanksgiving, she backed off and decided me absolutely had to get a tiny fake tree. It couldn't take over her living room! Couldn't we maybe get a little prelit thing and put it on a table? Through this whole thing, I said almost nothing, just absorbed her careening opinions and making it clear I didn't care that strongly about a real tree but didn't want a 2 foot tabletop prelit thing. Finally, my having still not rushed out to buy a tree, she declared that the kids were creative and could "make something!" So a couple weeks ago, they moved the remaining three plants from the tall wooden plant stand that had belonged to my grandparents most of my life, moved it, and - to my surprise - decorated it into something remarkably attractive and abstractly tree-like. It threatens to become a tradition. 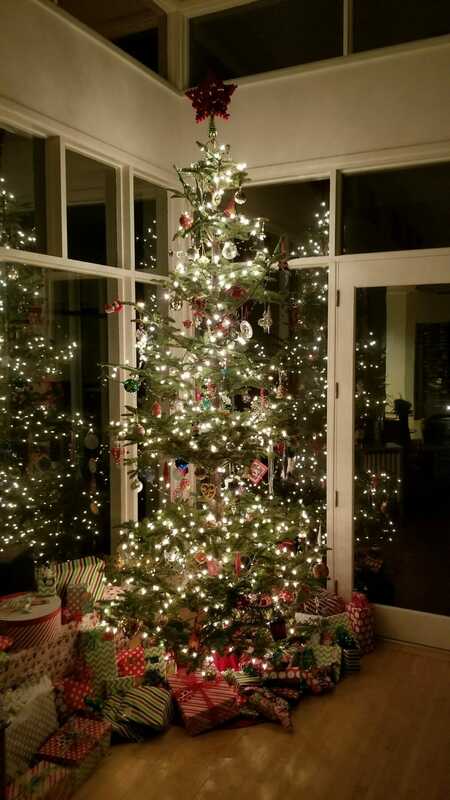 Just declare that everyone has a right to a Christmas tree, then set up mandatory minimums for size, number of branches, shade of green, and color of lights. when the price of trees goes up, blame the growers and distributors, and force them to pay into a fund that will supply trees to low-income people, and pass a tax on anyone purchasing a tree over 7' tall, and on egg nog too, just for the heck of it. valued these trees more than I to find some still available." That's going to be the card, and the tree, you and yours will remember forever. Actually, now that I think about it, the above children's book could be interpreted as a trickle-down-economics allegory of sorts. (Spoiler alert!) 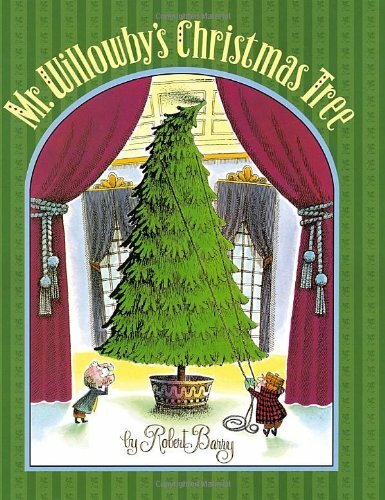 Wealthy Mr. Willowby gets a big xmas tree for his mansion, it's just a little too big so he snips off the top 5ft or so. The butler takes that for his apartment and once it's placed on his table (or whatever), finds that this remnant is a bit too big for him, so he takes a bit off the top....then the maid gets that piece....then Mr. Fox outside...Mr. Mouse etc. Coyote: I find your "tall and thin and looks great" comment to be disparaging to some. When we bought real trees, I would routinely fill gaps by cutting branches off the rear of the tree which faced a corner and inserting them into holes I drilled strategically into the front. I would also use black thread to lift branches up, thereby improving the look of the tree. Dad's gotta do what Dad's gotta do. Merry XMas and congratulations on the ultimate achievement - proven successful parenting!